Crowdfunding has come a long way from its origins when it was a method used by struggling rock bands to raise money for tours and recordings. It has proven to be a highly successful vehicle to raise funds for disaster relief, philanthropic activities, supporting bloggers and website operators, political campaigns,software development and scientific research. The next frontier is capital for start-up companies, with sites such as KickStarter in the US utilised to fund projects. 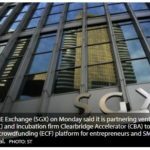 Closer to home, the Australian Securities and Investments Commission (ASIC) has flagged a crackdown on crowdfunding for corporate purposes. This has been met by some strong opposition from supporters of crowdfunding. Pozible, an Australian crowdfunding site, currently allows people to fund certain projects in return for certain rewards, but has stated that it would like to be able to facilitate cash-for-equity deals, should the law change. On August 14, 2012, ASIC issued guidance to promoters of ‘crowdfunding’ to clarify arrangements which may be regulated by ASIC under the Corporations Act 2001 and Australian Securities and Investments Commission Act 2001 (ASIC Act). ASIC commissioner Greg Tanzer said ASIC has been monitoring increasing use of crowdfunding for investment purposes to identify any arrangements, or aspects of those arrangements, that may be regulated by ASIC. “Crowdfunding, as a discrete activity, is not prohibited in Australia nor is it generally regulated by ASIC,” Tanzer said. However, depending on the particular crowdfunding arrangement, ASIC's view is that some types of crowdfunding could involve offering or advertising a financial product, providing a financial service or fundraising through securities requiring a complying disclosure document. These activities are regulated by ASIC under the Corporations Act and ASIC Act and may impose legal obligations on operators of crowdfunding sites and on people using those sites to raise funds. Additionally, depending on the type of ‘reward’ offered by the project creator to those providing funding, crowdfunding could involve a managed investment scheme under Chapter 5C of the Corporations Act, provision of a financial services requiring an Australian Financial Services (AFS) licence or a fundraising under Chapter 6D of the Corporations Act. There are also restrictions that can apply to advertising and publicising an offer of financial products or securities. ASIC has reportedly written to a number of Australian-based operators of crowdfunding websites outlining its views on crowdfunding and the circumstances that may impose legal obligations. Subsequent to the ASIC media release, several Australian website operators have publicly stated that their operations comply with current requirements. In some circumstances, crowdfunding may also be considered a pre-purchase arrangement of a product or a service. In these circumstances, the activity would be regulated under the Competition and Consumer Act 2010, which incorporates the Australian Consumer Law. Amongst other things, the Australian Consumer Law, like the ASIC Act, prohibits businesses from making false or misleading representations to consumers. Offering a financial product or securities without meeting the relevant obligations under the Corporations Act may have a number of consequences, including fines or other penalties. For example, the maximum penalty for failing to register a managed investment scheme is 200 penalty units ($22,000), five years’ imprisonment, or both. The maximum penalty for carrying on a financial services business without an AFS licence is 200 penalty units ($22,000), two years’ imprisonment, or both. There are also restrictions that apply to advertising and publicising an offer of financial products or securities which require a PDS, prospectus, or other complying disclosure document under the Corporations Act unless there are appropriate references to the relevant document. There are various consequences for failing to comply with these requirements. It is evident that ASIC is exercising its consumer protection mandate. The concern is that people may contribute cash or invest based upon limited or potentially misleading information, or based upon impulse or emotion depending upon the idea promoted. In the same release, ASIC warns about the dangers of potential fraud being carried out through crowdfunding websites. Arguably, it would also prejudice complying companies who ‘do the right thing’ and place them at a competitive disadvantage, if the situation were not policed. Companies intending to seek funding through such websites should consider whether they may be at risk themselves of contravening Australian laws, and the laws of other jurisdictions where such websites may potentially be available. Ideas posted on a website can readily be copied. While expert advice can be sought to achieve some protection through prior filing of patent applications, use of copyright and trademark protection, there is a potentially wide audience and in some jurisdictions the enforcement options will be potentially costly or ineffective. While consumers need to be wary of fraud, so too do those seeking funding. Obviously the bona fides of any website operator should be established, to ensure money received is actually paid through to the company seeking funding. Is there any means of verifying the funds received versus those paid? In addition, some website operators have themselves been targeted by rivals or market participants for patent infringement or intellectual property breaches. This may impact upon those operators and conceivably companies who have raised funding using that technology. If crowdfunding results in actual shareholders this will raise a number of ongoing control and compliance issues. In particular, a proprietary company in Australia may have no more than 50 non-employee members. Public companies are subject to more stringent ongoing reporting and audit requirements. Similarly, offers involving a mutual pool that may be regulated as a managed investment, or pre-purchase under the consumer laws, will give rise to legal and compliance issues. Even if the ‘offer’ to funders does not involve equity participation or future benefits, there is a genuine risk that there will be a number of stakeholders who will want access to information about the company’s progress, and in some instances feel as though they are entitled to have a say in its management or strategy. This may be an unwelcome distraction and even escalate to adverse sentiment or publicity if not successfully handled. So, is crowdfunding worth it? As start-up funding is scarce, particularly in the current economic climate, many companies may be attracted to crowdfunding as a seemingly easy source of capital. There are regulatory issues which appear to be evolving in this area and they are an example of the often ‘untested’ situations that can arise where laws drafted for ‘old economy’ businesses have failed to keep pace with modern technology. The ASIC media release certainly signals a likely increase in surveillance which may herald possible action against any non-complying operators or companies seeking funding in a manner deemed illegal. It is certainly a space in which caution should be exercised. Consideration should also be given to the commercial downside relative to any possible benefit which may be obtained. Reece Walker is a partner at McCullough Robertson, a leading Australian independent law firm with industry specialists combining legal expertise with deep industry knowledge and foresight.